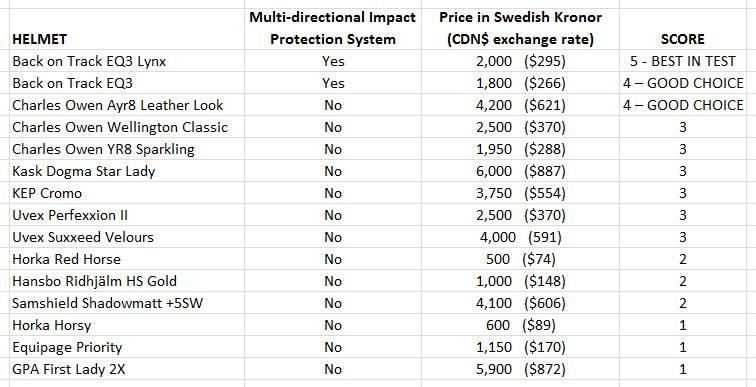 The Swedish insurance company Folksam conducted a comprehensive study of 15 equestrian helmets, which revealed that most don't offer adequate side impact protection. Recent testing reveals that many brands of equestrian helmets do not protect riders as well as they could. 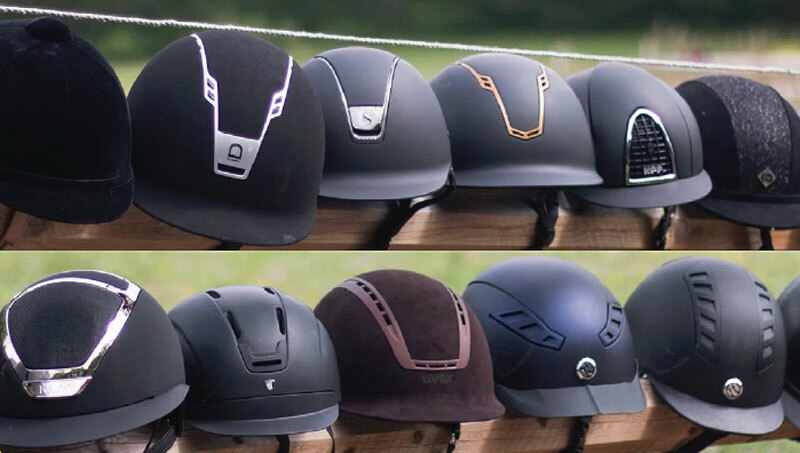 A Swedish insurance company, Folksam, has released surprising results from their testing of 15 equestrian helmets for adults and children – ranging in price and popularity. Their independent study shows that only three of the helmets tested offer protection from side impact falls – aka oblique impact, which best simulates actual riding and handling accidents. When a rider buys a helmet, they look for one that meets the CE standard. All 15 of the helmets included in this study do meet that standard. However, with standard testing, only energy absorption from perpendicular impact has been proven. Folksam set out to simulate oblique impact scenarios, since it has been shown that angular acceleration is the leading cause of brain injuries. They conducted four physical tests for shock absorption with straight perpendicular impact and three angular oblique impact tests. Computer simulations were used to evaluate injury risk. In seven helmets, a linear acceleration lower than 200 g were showed, which corresponds to a low risk of skull fracture. The simulations indicated that the strain in the grey matter of the brain during oblique impacts varied between helmets from 16% to 51%, where 26% corresponds to 50% risk for a concussion. The two helmets equipped with Multi-directional Impact Protection System (MIPS) performed in general better than the others. However, all helmets need to reduce rotational acceleration more effectively. 5. The helmet is awarded “Best in Test.” This means that the helmet complies with all legal regulations and is 30% better than the average helmet in the test and protects well. 4. The helmets are awarded “Good Choice.” This means that the helmet complied with all legal regulations and performs better than the average helmets in the test and protects well. 3. Complies with legal regulations and has an average test compared to all helmets in the test. 2. A lower test score compared to other helmets in test but complies with legal regulations. 1. A lower test score compared to other helmets in the test and poor results in all tests, but complies with legal regulations. This testing shows that a helmet that meets the current standards does not necessarily prevent concussion. In total, three helmets obtained the Folksam Best in Test or Good Choice label: Back on Track EQ3 Lynx, Back on Track EQ3 and Charles Owen Ayr8. The helmet Back on Track EQ3 Lynx performed best and was 30% better than the average helmet. Both the Back on Track EQ3 Lynx and Back on Track EQ3 are fitted with MIPS (Multi-directional Impact Protection System) with the intention to reduce the rotational energy. The results have shown that rotational acceleration after impact varies widely among helmets. They also indicate that there is a link between rotational energy and strain in the grey matter of the brain. This study proves, therefore, how important it is to include rotational acceleration in consumer tests and legal requirements for equestrian helmets.